Our Book Fair is back again! Another exciting opportunity to get your students pumped up about reading. 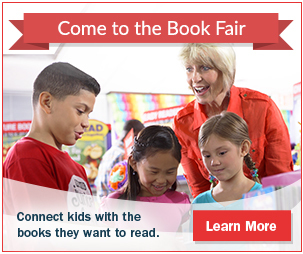 This fair, we want to make things even easier on you the parents to see and access what Scholastic has to offer. Here are links to the Hebrew Academy Book Fair website where you can look and discuss with your students which books are appropriate and even make an instant purchase. The selection online will be larger then what will be on display and will be delivered directly to your student! Shipping is free! Lastly, if you haven't fulfilled your volunteer hours, or even if you have, volunteering at the book fair is a fun and social way to be involved and you get to see what a direct impact you have on students' love of reading. Please check out the second link below to get the hours that best suit your schedule! I look forward to seeing you at the Book Fair!! Book Fair is around the corner! We need YOU the parent to sign up and show your student you support reading! This is a great time to have those mandatory volunteer hours fulfilled in a fun way! Please make your choices soon to get the best shift that accommodates your schedule. Volunteers that sign up AND attend for at least 2 shifts will receive a free book! I look forward to seeing you at the Book Fair!